An atom can be considered unstable in one of two ways. If it picks up or loses an electron, it becomes electrically charged and highly reactive. Such electrically charged atoms are known as ions. Instability can also occur in the nucleus when the number of protons and neutrons is unbalanced. In an effort to achieve equilibrium, the atom emits particles in the form of radiation until the nucleus is stable. Such unstable atoms are said to be radioactive. Ions are electrically unstable and are quick to form chemical bonds. Atoms with unstable nuclei emit radiation until the nuclei become stable. What Is a Stable Atom? To better understand unstable atoms, it helps to appreciate what constitutes stability. In the familiar planetary model, an atom consists of a nucleus of heavy positively charged particles, called protons, and electrically neutral ones called neutrons. Orbiting the nucleus is a cloud of lighter, negatively charged electrons. Protons and electrons have equal and opposite charges. When the atom is stable, it has a net electrical charge of 0, meaning that the number of protons equals the number of electrons. The nucleus is also balanced, in that the number of protons equals the number of neutrons. Such an atom isn't inert. It can still combine with others to form chemical compounds, and its propensity for doing so depends on the number of its valence electrons, or those electrons that can be shared with other atoms. When an atom loses or gains an electron, it becomes an ion. If it gains an electron, it's a cation, and if it loses one, it's an anion. This happens most commonly in chemical reactions, in which atoms share electrons to form a stable outer shell of 8. For example, the water molecule consists of two hydrogen atoms and an oxygen atom. The hydrogen atoms each surrender their single electron to become positively charged ions, while the oxygen atom accepts them to become negatively charged. The combination forms a very stable, if slightly electrically polar, molecule. Free ions can exist in solution or in materials subject to an electrical field. When they exist in solution, the solution becomes an electrolyte, which is one capable of conducting electricity. Because of their electrical charge, ions have a greater propensity to combine and form compounds than electrically neutral atoms. When an atomic nucleus has an excess of protons or neutrons, it throws them off in an effort to achieve a balanced state. Because of the strength of the force holding the nucleus together, the particles that emerge from unstable nuclei, which are called radionuclides, are very energetic. These nuclei can emit alpha rays, which are composed of protons and neutrons; beta rays, which are negatively or positively charged electrons; and gamma rays, which are high-energy photons. When a radionuclide loses a neutron, it becomes a different isotope of the same element, but when it loses a proton, it becomes a different element altogether. The atom continues to emit radioactive radiation until it achieves a stable number of protons and neutrons. The time it takes for half of a given sample of particular isotope to decay into a stable form is called its half-life. Half-lives can vary from fractions of a second in the case of Polonium-215, to billions of years in the case of Uranium-238. 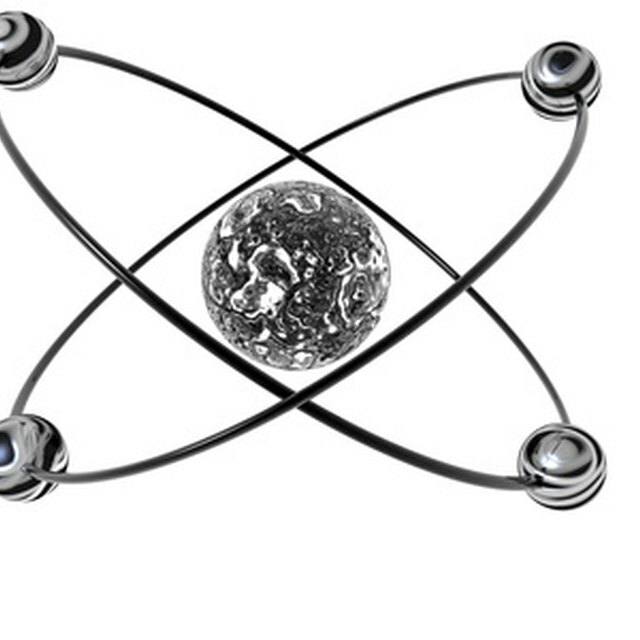 ThoughtCo: What Is the Difference Between an Atom and an Ion? What Are Alpha, Beta & Gamma Particles? Deziel, Chris. "What Is an Unstable Atom?" Sciencing, https://sciencing.com/unstable-atom-10041703.html. 28 April 2018.